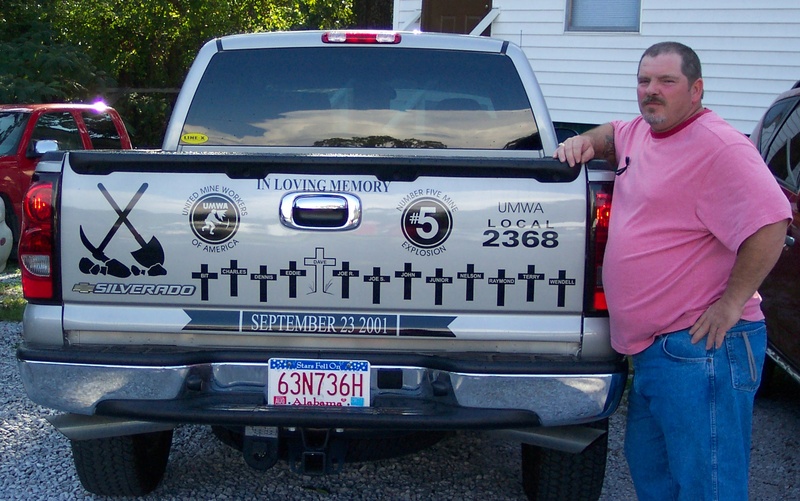 September 23, 2013 by Ken Ward Jr.
UMWA miner Ricky Rose, who survived the 2001 disaster, showed me his truck — decorated to honor his fellow miners who were killed — during a visit to Brookwood, Ala., a few years ago. Twelve years ago today, a series of explosions rocked the Jim Walter Resources No. 5 Mine near Brookwood, Ala., killing 13 coal miners. At the time, it was the worst coal-mining disaster in the U.S. in 17 years.